As those of you who are frequent visitors to Café Fashionista probably already know, I am a self-professed shoe addict. Shoes are the one area of fashion that I will willingly (and happily!) spend more money, as I am a firm believer in the fact that shoes make the outfit; thus, you can imagine how devastating it is to see obvious wear on the soles of new shoes – be them pumps or wedges – after just a few spins around town. Resoling can be an expensive (and sometimes harrowing) process; so I was super excited to discover Protect Your Pumps. Protect Your Pumps is a non-slip transparent adhesive that you place on the bottom of your shoes, which protects the soles, making them look brand new, and unworn. One pair costs $8.00, and can last up to 8 wears; while three pairs cost $20.00. The picture below shows a pair of pumps that were worn three times – the left illustrates the shoe that was protected with Protect Your Pumps, the right illustrates an unprotected shoe. 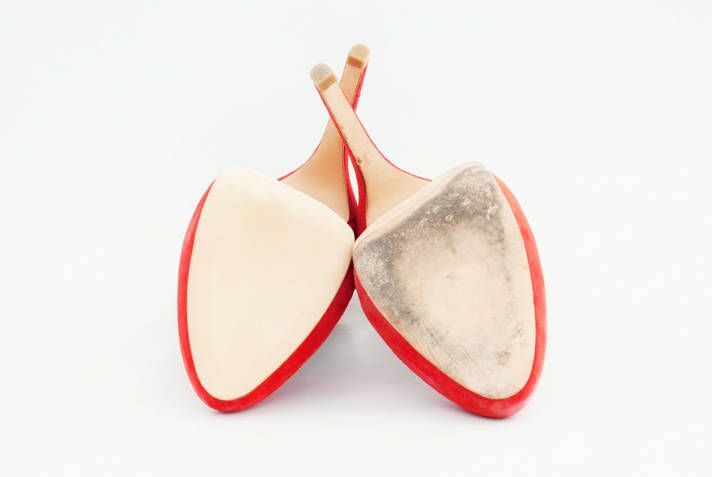 As someone who has experienced a strong look of wear and tear on the bottom of her shoes after just a handful of wears, I think that these are such a clever idea, and truly an invaluable accessory for fashionistas – especially shoe lovers. Plus, they make really adorable bridesmaid gifts, or stocking stuffers, as they come in super cute drawstring pouches. And a little treat…Starting today, all Café Fashionista readers can receive 15% OFF their Protect Your Pumps order by using the CODE CAFÉ. 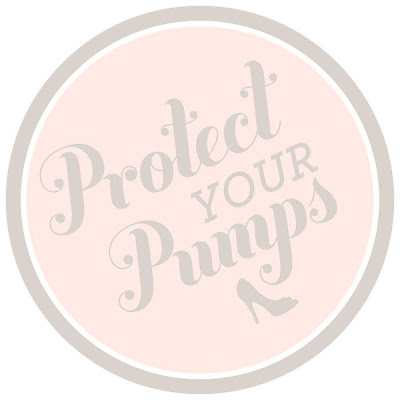 What do you think of Protect Your Pumps? Definitely a great investment to protect those pumps! What a wonderful concept! They don't cause any friction on the ground or anything right? No slippage? Oh, I NEED these! I'm so hard on my shoes. Definitely a must have. Love the idea of it. Hope your Sunday is a good one. Definitely sounds like a useful product! And cheaper than getting shoes resoled! That is awesome for pumps, high heeled boots, etc. Are they slip-proof? I love the idea of these, especially for my really nice shoes. I will have to snag some of these!